Now in days smartphone comes with more than 5 MP camera that capture high resolution photo which is big in size. Sharing & Uploading high resolution photo on Edge network is lengthy and fail in the middle of the process. Thankfully ‘Reduce Photo size’ can solve this problem. 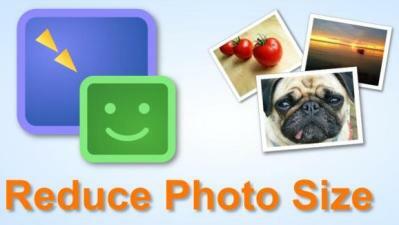 Reduce Photo Size is an Android app that can resize photo file size by resize or cropping the image. When you start the app, it’ll ask you to Select the photos from Gallery or capture new one from camera. Once you got your image, you can crop, resize, rotate the image. The resulting image will be smaller and easier to upload on social networking site. You can also save the image on SD Card.